Dr. Andrew D. Boyd is an Assistant Professor in the Department of Biomedical and Health Information Sciences. For his contribution to the field of Health Informatics, he was awarded 2015 UIC Researcher of the Year in Clinical Sciences, Rising Star. He has over 30 publications (with over 1500 citations). He has been a PI, Co-PI, Co-I on numerous grants from the NIH, DOD, and private foundations. He serves on the UIC senate, and is a member of the Information Technology Governance Research Committee. He is serving on the University-System wide HIPAA Privacy and Security Committee representing research interests. The courses he has taught have been co-listed in the College of Applied Health Sciences, School of Public Health, and College of Business. Dr. Boyd’s research focuses on “data simplification to improve clinical outcomes” engaging administrators, researchers and patients. His recent research success was in simplifying the transition for International Classification of Disease version 9 clinical modification (ICD-9-CM) to version 10 (ICD-10-CM), which occurred on Oct. 1, 2015. 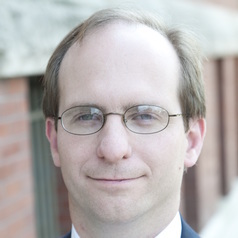 Over 200 news publications have cited his work including (Crain’s Chicago Business, Modern Health Care, Healthcare Informatics, Politco.com, Inside Health Policy and many more).